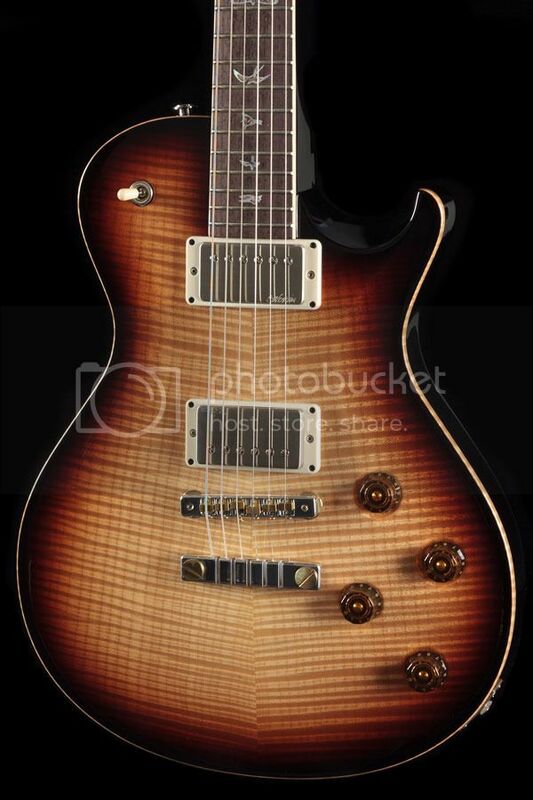 PRS SC-58 - hold or sell? Discussion in 'Guitars in General' started by Vede, May 6, 2016. I've got two beautiful PRS SC58's that I enjoy but rarely play. Is there any reason to think that they will significantly appreciate (or additionally depreciate) within any semi-reasonable period of time? I don't need to sell them, but I also don't need to forever hang onto guitars that I rarely play. Trying to decide if now is as good a time as any, or if I should hold for the time being. Depends on the color, wood figure, etc. IMO, now is a good time to sell as any. I don't see newer PRS appreciating in value, really. I would check in with the PRS guys over at Vintage Rocker. I love PRS guitars, btw, I have a CU22, CU24, and Hiland sig. I think there are enough of them out there that it will tough for them to become very collectible. jrjones and Bobby D like this. Thanks, grapeshot. I'll see what the folks at Vintage Rocker have to say. I love PRS guitars, too, and I'm keeping my CU24 Floyd, but I'm just not playing these two SC58s. I always want to be a singlecut guy, but find myself gravitating back to my superstrats. grausch, KeLynne, doublescale1 and 1 other person like this. * While the "58's" were a limited run, their features aren't particularily unique from some other models PRS has offered. 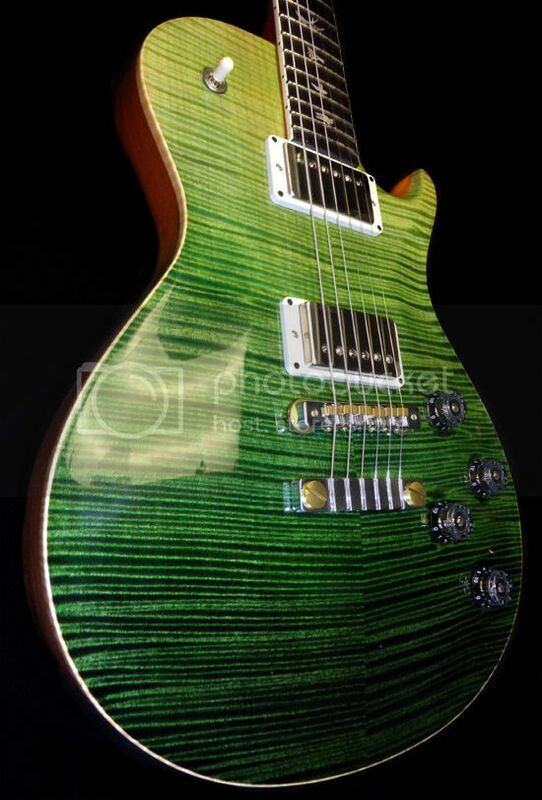 * I was at a PRS event earlier this week and Paul showed off the first "standard production run" McCarty 594. I suspect that a good number of people looking for SC-58 type features will be shifting their attention to that model. My crystal ball got cloudy a long time ago. Those tops are gorgeous. I especially love the first one. You won't have any problem selling those. KeLynne and Vede like this. I wouldn't think twice-anything that's not getting played gets sold. The "problem" with PRS is that they've never dipped in quality so resale is never going to jump. Wait. There's a production four knob 594 coming out???? Of the two, the green is actually the one I'm thinking about hanging onto! But I'll consider a reasonable offer. PM me if you're interested. This is the only other shot I currently have, which was taken by the dealer. I can take more. The guitar is pretty much like-new other than some slight discoloration of the brass parts on the bridge, which happens to all SC58's over time. Yes Sir and/or Madame. Paul literally took it off stage and put it in my hands (it's whale blue) - they're being built as you read this. Same configuration as the PS release including the 85/15 low turn pickups. Paul said MSRP is $4799. If I didn't already have a MC-58 that I love (Paul played it a few years ago and said its one of the best MCs he's played) I would have reserved it on the spot. I can confirm the production core model 594. Same configuration as the PS release including the 85/15 low turn pickups. Just looked at the PS model again and noted one slight difference- the "Core" model headstock is unbound (the fretboard is bound).